The Academy of Digital Broadcasting Santa Susana High School is a program that's been producing a weekly show for over 20 years. The capstone course for the Academy of Digital Broadcasting. This high level course is designed to give students a hands-on experience withproducing a school news magazine show for broadcast on a regular basis.Students from different disciplines are brought together to produce a schooloriented show to be broadcast on public access cable television. Students areresponsible for the visual and technical aspects of the production including:storyboarding, shooting of footage, quality control, graphics and musiccreation, editing compilation of articles into a 30 minute show and authoring toDVD. This is a two semester full year course which introduces the student to the various aspects of Film, TV and Digital Media Production. In the first semester, the students screen classic and contemporary exemplars of film and television programs each through the lens of the various aspects of film production: Producing, Direction, Screenwriting, Cinematography, Art Direction, Editing, Sound and more. The students learn film theory and technical industry language. 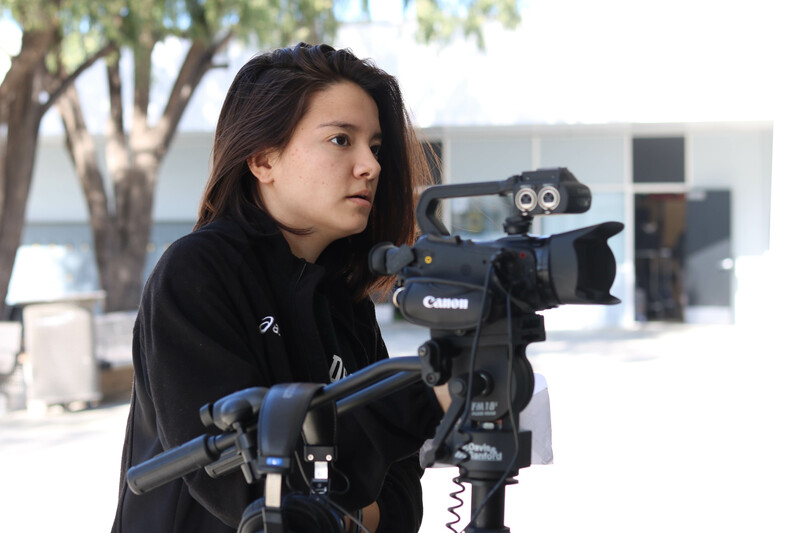 In the second semester the students in 3-4 member production teams film 5 minute or less short film projects to be screened at school sponsored film festivals (at least two a year). Must take the Digital Broadcasting capstone class and complete a senior project. Digital Broadcasting (20 units) (Y) #H8173 – 1st Sem. #H8174 – 2nd Sem.